We have one Blue Chow Chow male puppy still available. He is 9 weeks old, and has had his first shots. He is good with other dogs, cats and kids. He is housebroken and crate trained. He is ready to bring happiness to a new family. Overview: The Chow Chow is a powerful and strong dog, probably best suited for an experienced and patient dog owner. He can be proud and strong-willed, but a loyal companion when given the chance. Colors: Solid red, black, blue, cinnamon, and cream. Coat: It can have either a rough coat, which is straight and off-standing, or a smooth coat, which is hard and smooth; both coat types have wooly undercoat. 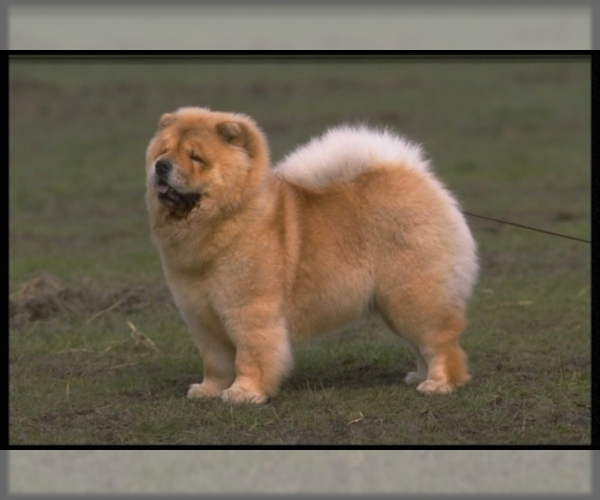 Character: Chow Chows are independent dogs, known for their calm and vigilant nature. They often try to dominate other dogs. Temperament: This breed is very domineering around other dogs, but they are usually good with children. They need to be well socialized with other household pets early in life and are cautious with strangers. Care: The Chow Chow requires regular and very thorough brushing. The smooth type needs brushing once weekly. Training: This breed requires very firm and consistent training as they tend to be quite stubborn. Activity: The Chow Chow does not require a large amount of exercise, but does prefer to be outdoors. Health Issue: This breed may have hip dysplasia and is prone to suffer eye irritation (entropion), caused by eyelid abnormalities. Posted Breed: Chow Chow / Corgi. Adoption Fee: $50. Posted Breed: Chow Chow (medium coat). Posted Breed: Chow Chow (long coat). Posted Breed: Chow Chow (long coat). Adoption Fee: $285.00.